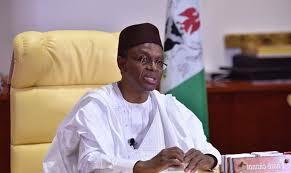 The Governor of Kaduna State, who is also the candidate of the All Progressives Congress in the Governorship election held in the state on Saturday, Mallam Nasir el-Rufai, has been declared the winner. The Vice-Chancellor, Bayero University, Kano, Prof. Mohammed Bello, who is the returning officer, said El-Rufai polled 1,045,427 to defeat his closest rival who is the candidate of the Peoples Democratic Party, Isa Ashiru, who scored 814,168. The result shows that the APC candidate won in Makarfi, Kudan, Ikara, Kubau, Giwa, Kauru, Soba, Kaduna North, Birnin Gwari, and Sabon Gari, Lere, Kaduna South, Igabi and Zaria local government areas. The PDP candidate, on the other hand, won in Kajuru, Kachia, Jaba, Kaura, Zangon Kataf, Zanga, Chikun, Jema’a and Kagarko LGAs. The PDP candidate lost his Kudan Local Government Area where he scored 22, 022 to El-Rufai, who scored 28, 624.